Love, Mrs. Mommy: The Art of Blissful Parenting Book Tour, Review, and Q&A w/ Sharon Ballantine! 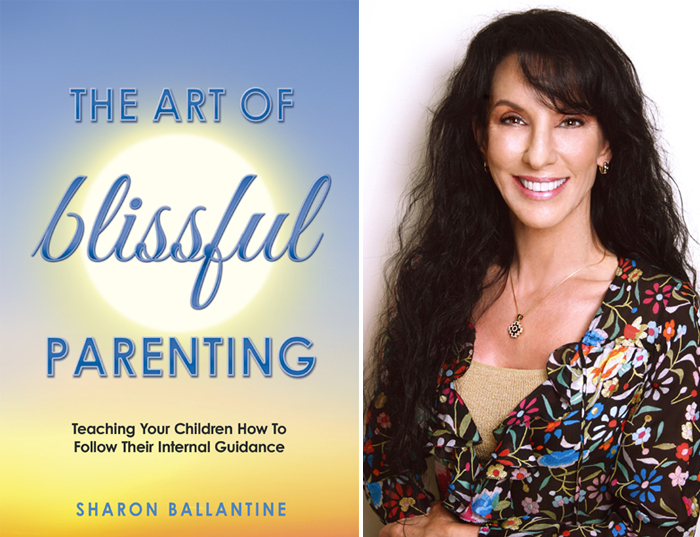 The Art of Blissful Parenting Book Tour, Review, and Q&A w/ Sharon Ballantine! Welcome to the last stop of The Art of Blissful Parenting Blog Book Tour! Thanks for stopping by and be sure to check out the press release here. Sharon Ballantine is the author of the book, "The Art of Blissful Parenting". She is a life and parenting coach, as well as the founder of the online course for parents, The Ballantine Parenting Institute. She is also a certified Law of Attraction Life Coach. After raising her three children, she was inspired to write this interesting and informative book on following your own Internal Guidance System (IGS). This book explains what that is and how you can use it to help achieve your own personal best and happiness. She also goes into detail on how to listen to your heart and to let it help guide you with your decisions rather than listening to your head. She believes teaching this concept to your child(ren) will enable them to make good choices as they grow. Another interesting concept she speaks about is people's vibrations - or the energetic force we all omit with our thoughts and feelings. She discusses how these vibrations are basically what people respond to when we interact with them. If you focus on positive thoughts and energies, they will, in turn, feel this from you and respond with like energy. She states that everyone should make a practice of being happy. How trying to be happy and focusing on that feeling will eventually make it an integral part of you. Unfortunately, people generally tend to dwell on all the negatives in their lives. She tries to show the benefits of pointing your thoughts in a postive direction to your benefit and the benefit of everyone you come in contact with. The book also focuses on how to better connect with your kids. She believes in not controlling them and having them follow your desires, but rather teaching them to follow their own IGS to find their own path to happiness and fulfillment. By allowing the child more freedom, they will realize outcomes to their behavior on their own, learning what to do and not to do to gain a positive outcome. This book follows her concept of achieving your own personal best and happiness following your own IGS. According to Sharon, you can relate better with others due to letting go of judgment, negativity and the need to try to control situations and others in your life... follow your heart and find your own way. Q: You mention how angels work with people through number sequences. How do you know which numbers you see or come in contact with are your numbers or messages? A: I asked for sequences of three's so I would know for sure. For example, if I got a 404 (or any number) I asked that it be shown to me 3 times in a short period of time so I would know for sure. For years, I was shown different numbers(still am) and they come to me 3 times. I figured I could make the rules. Q: You state that we all have the ability to chose and create our reality by focusing on our desires rather than unwanted things in our lives. What if someone has a serious health issue? Focusing on positives rather than the negatives always helps, but what if the outcome (that you aren't focusing on) becomes a reality? A: Healing can be absolute if there is a belief present that knows there can be a healing no matter how dire the circumstances. We ourselves can't know at our soul level (or anyone else's for that matter) if it is time to transition (pass on). In this case, there would be no healing as it is time to go. Q: How can you separate whether it's your heart of your head telling you your path? A: Your head is the logical part of you that spurs you into action to get what you want. Your head gives you inspired action(ideas) to take. Your heart or gut feeling is your intuition guiding you in a strong way toward or away from something. It speaks to you in feelings, and desires. You feel propelled toward something/someone or away from it when listening to your internal guidance. Q: In what ways can you work to keep your positive vibrations up when you are challenged by negativity? A: This becomes a daily practice that we make a choice to do. Life happens to all of us and there can be much negativity that surrounds us. The way to keep our positive vibrations up is to focus deliberately on things/people that we know make us feel good. We get to choose the direction of our thoughts, and our feelings are our indicator of how we are focusing. If we feel great, then we know we are thinking in a positive way. We have so many thoughts, its hard to watch them, feelings are a quicker indicator. Doing activities that are fun and make us feel good are a good way to keep our vibrations up too. Making our happiness a priority is a must for this. Connect: Find out more about Sharon Ballantine and her book by visiting her website. Buy It: You can purchase The Art of Blissful Parenting on Amazon.